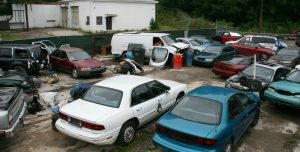 You do not have to clear the rest of your day to wait for vehicle collection because Car Wrecker Perth offers you same day car removal. Matter of fact, when you contact us, we can be there in a few hours and have your vehicle removed soonest possible because we work 24/7, 365 days in a year. Immediately you call us, we can provide you with an instant cash quote depending on the details you provide us with such as the vehicle age, model. We, therefore, urge you to be precise in your description to get the right quote. With the instant cash quote, we arrive with the money and all the paperwork needed for the deal to take place. All you have to do is sign the contract, receive the money, and we will take care of the rest. We mind our environment, therefore, employ only green solutions in our recycling process. Best of all is that we also reuse the parts to reduce any adverse effects on nature. So, do you need car removal in Perth? Car Wreckers Perth is the go-to company offering cash up to $6,000 in exchange for your wrecked vehicle. Call us now at 0497 843 353 and get your instant cash quote.